IKEA HONG KONG TRIP TO THAILAND Written by Charlie Chan. Not everything is meant to be. But everything is worth a try. This is what I have learnt from the parents, athletes and coaches we met in these five days. Blue skies with a glaring sun, a usual day in Khon Kaen. Photo by Charlie Chan. It was a fine Friday morning as I headed to the conference room after breakfast, ready to meet some more new faces on the last day of our trip. As I pushed the door open, two ladies were sitting inside. One slowly turned her face to me and peeped shyly, then quickly turned around as I offered a wai (Thai style of greeting) to her. The other senior lady gave me a gentle nod when I walked past and grabbed a seat. 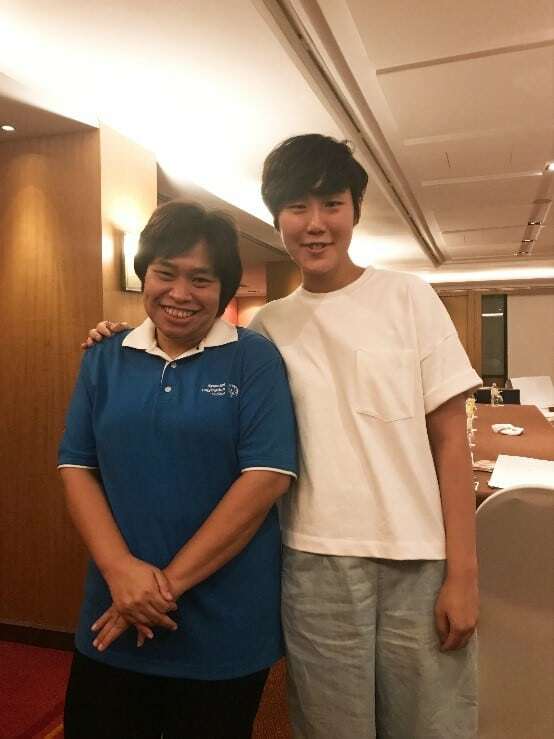 This is how I met Jiap (38), a brilliant Young Athlete Leader, and her mother. Jiap with a grinning face (left). Photo by Shawn Chan. 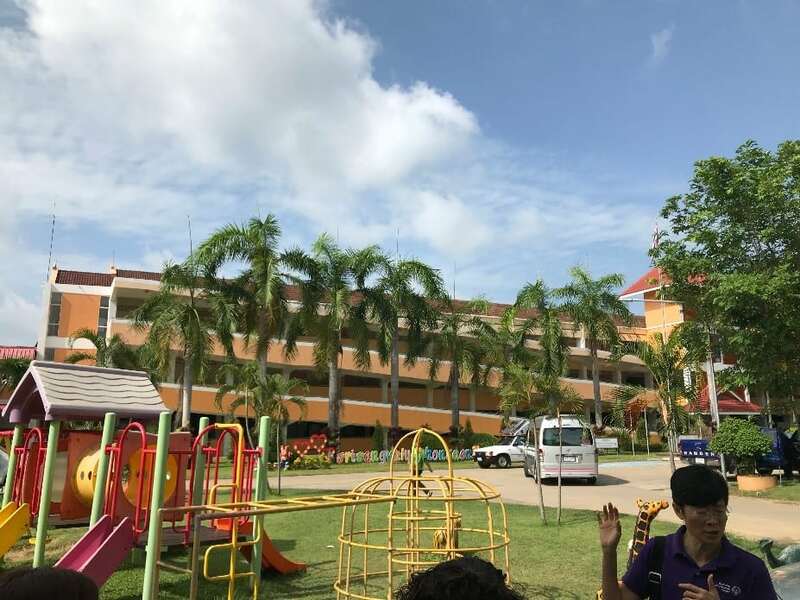 Three days prior to this meeting, our team of eight has visited two special education centres (one in Samut Sakhon and one in Khon Kaen) and engaged in two home visits (Little On and Dano’s homes) in Khon Kaen. I had developed an uneasy feeling on their experiences and had not yet found a way out. On one hand, it was heartwarming to see the kids with intellectual disabilities (ID) were in good hands; loved by their parents, coaches, neighbours. On the other hand, I couldn’t stop worrying about their future. Life has made it hard for them: how are they going to carry on after their parents are gone? How are they supposed to make a living? What about their futures? There were lots of questions that I wouldn’t even dare to think about. It was Jiap and her mother who offered part of the answer. Here is Jiap’s story in a nutshell. When her mother was pregnant with Jiap, there was a widespread epidemic of German measles and she got infected. When she was seven months pregnant, the doctors had already detected an abnormality with the baby. As a result, when Jiap was born, she was all yellow and had a difficulty in pushing herself out of the womb. Same as most ID children, Jiap weathered a difficult childhood. She was a slow learner in class and was sent to speech therapists. Upon her graduation in Grade 9, her mother no longer wanted her to stay in mainstream schooling, so Jiap was then kept at home. 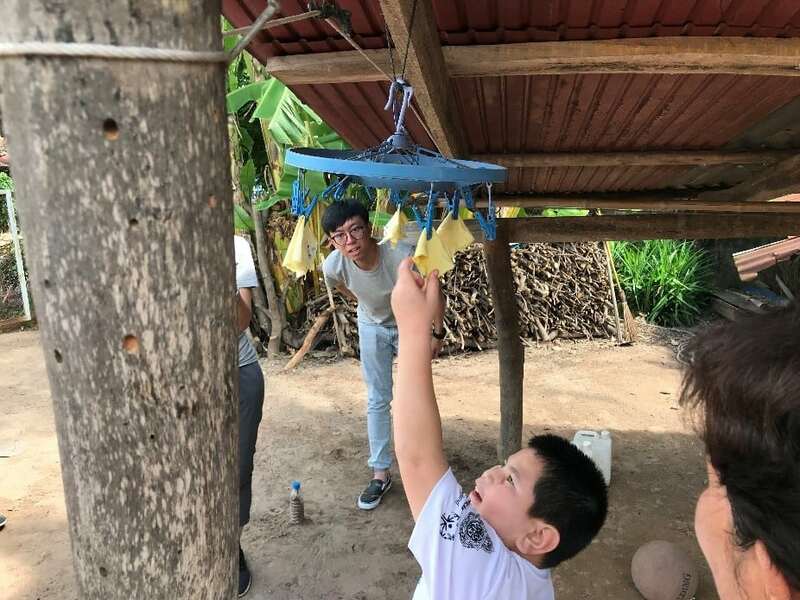 Yet Jiap had a strong desire to learn and explore the outside world, so the family came to a decision of sending her to a vocational school, studying more about beauty industry. It was then Jiap came across Special Olympics and became a Young Athlete Leader at the age of 25. 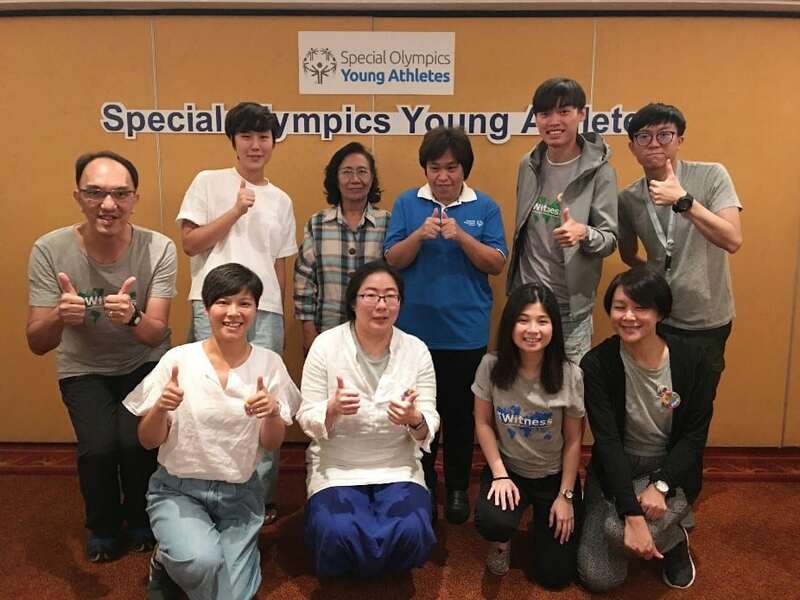 Young Athlete Leaders are trained to become spokespersons of Special Olympics Athletes: delivering public speeches, attending special functions, speaking to global sponsors and presenting awards in different games. How do they manage to do it? An immediate question popped up. Nui, National Director of the Young Athletes Programme, gave us an overview. Leaders have to undergo all sorts of trainings; communications basics, speech-giving and assistant coach-to-be. They are even trained to lead volunteers in different occasions. Apart from trainings, each leader is matched with a mentor. The mentor accompanies him or her to various events and assists by explaining questions and expressing ideas. Jiap is no stranger to national games. She shared delightfully about her experience back in 2013 at the World Winter Games in PyeongChang, South Korea. It was Jiap’s first attempt at snowshoeing (because in Thailand it never snows) and she was awarded a silver medal. Yet she was a little uncomfortable with the massive travelling she had to do; hours of flights and car rides. She also had a hard time in adapting to the weather in Korea: freezing cold and the snow wouldn’t stop. Jiap’s mother recalled Jiap bursting into tears out of discomfort. Thumbs up to Jiap and her mother! Photo by Rebecca Ralston. Behind her achievements on the international stage, Jiap is a compassionate young woman who loves to “pay it forward”. As an assistant coach, she looks after Young Athletes in classes. Whenever she encounters children who are not performing very well, she gives the children encouragement and speaks nicely to them. She also accompanies Young Athletes to health checks, where they may easily get frightened and freaked out. Jiap will gently hold their hands and tell them everything is alright—remind them to be brave. What surprises me more is that Jiap has a full-time job in Toshiba’s office. She works as an Office Assistant and helps with document delivery, cleaning and serving coffee and tea to guests, five days per week (8am—5pm) plus alternative Saturdays. Jiap described the first few months as nightmare, when she first joined, she strived hard to adapt. But neither her colleagues nor herself were satisfied with the performance. At that time she cried every day and thought of giving up but she knew getting a job would be a great opportunity to be self-reliant so she held on tight. Three to four months later, she stopped crying and eventually got her feet wet. Now Jiap has become a valued member of the team and everyone looks after each other as siblings. One often sees a child with ID as a fragile being, attempting to protect him/her in every possible way. But Jiap tells another side of the story; she simply doesn’t want to hide herself behind the walls. She wants to do something, something you and me might never think of. When I asked her whether there are any moments she felt pressured or fed up in this journey, she said two words with a beaming face: ‘Mai mi!’ (Don’t have in Thai). She is modest, proud and confident in every way. I have a feeling that all Jiap and people like her need is a chance; open the world to them, and they will surprise you. While they are not planning in giving up on themselves, we shouldn’t be giving up on them either. Let’s embrace our similarities instead of differences. Dano’s daily practrice, showing great perseverance in multiple attempts to reach the yellow cloths. Photo by Charlie Chan. I joined IKEA Hong Kong in 2015 as a part-timer in Human Resources, and gradually started working full-time upon graduation from college. I love to explore other cultures and I spared time to join service trips to Myanmar. 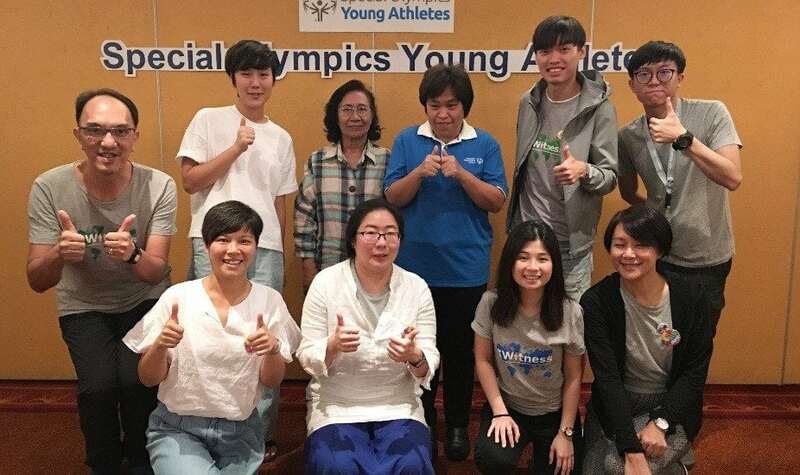 I am thrilled to be part of the IWitness trip to Thailand, delighted to see how the Young Athletes programme can change children’s and families’ lives. I believe what is essential is invisible to the eyes, it is only with the heart that one can see rightly.